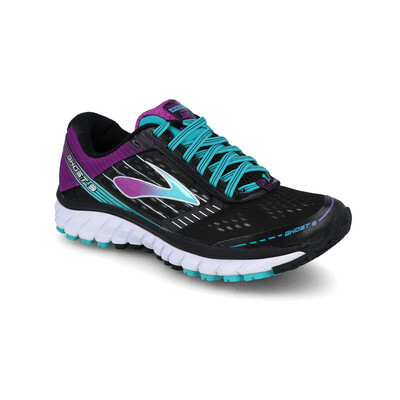 With a new plush interior and refined mesh upper, the Brooks Ghost 9 delivers the same smooth ride and balanced feel you love, but with a more seamless fit so it feels lighter than ever before. "I had been using Ghost 8 as pinewood trail shoes and needed a new pair. Upgraded to the 9s and they fit perfectly and no problem with the fit. I've tested them on both the road and trail and they're brilliant!" The upper of the Ghost 9 has been constructed using breathable mesh to provide the wearer with cooling properties to keep the feet as dry as possible whilst running. The mesh works by actively and efficiently wicking away the build-up of excess sweat and moisture to leave you feeling cool, dry and comfortable as you strive for the best results and performance. Additionally, cool air is encouraged to circulate, creating a drier, healthier environment for your feet to thrive. A padded tongue sits comfortably against the skin, reducing the risk of irritation such as chafing while the traditional lacing system offers a secure, locked-in feel. Synthetic overlays guard against friction and abrasion to provide durability and protection for your feet. 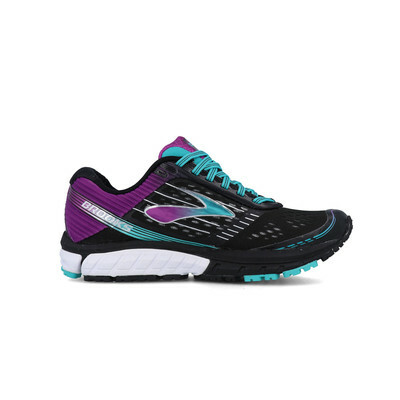 Developed with Brooks DNA which is an innovative and uniquely adaptive cushioning system. By adapting to specific weight, pace, gait and running surface, DNA offers customised cushioning and adds a spring to your step. Traditional cushioning takes a one-size-fits-all approach, but we know that each runner is different. 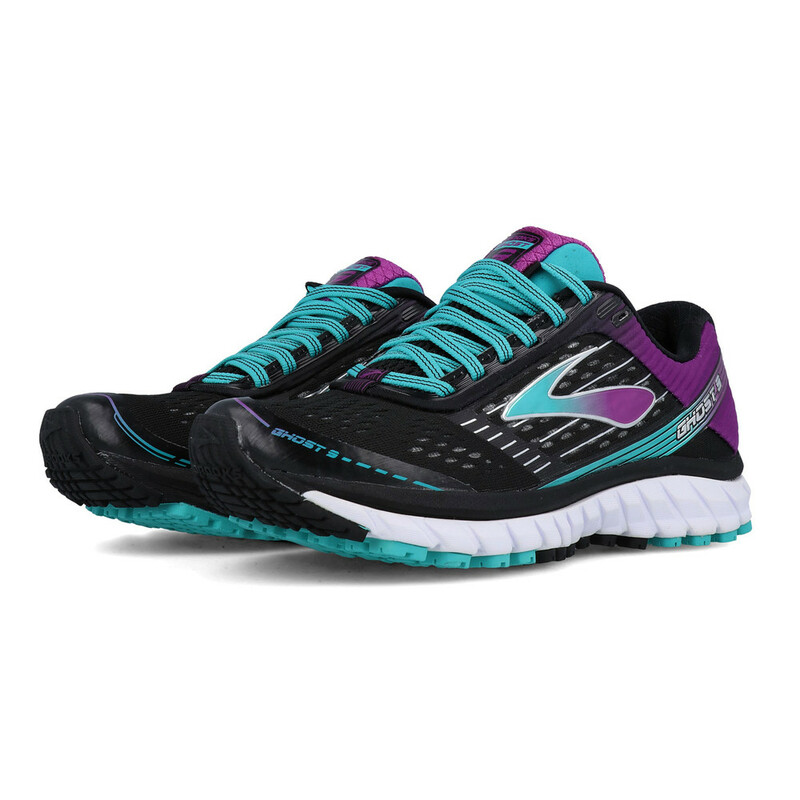 Brooks DNA was developed to continuously tailor the level of cushioning to specific needs - even as they change during the run. Additionally, with BioMoGo DNA which is DNA technology blended with the BioMoGo midsole to provide adaptive cushioning throughout the midsole vs. just in the heel and forefoot. 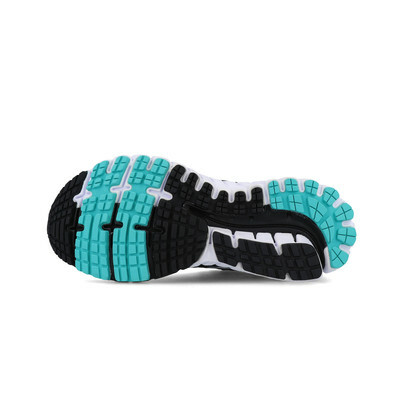 Full, blown rubber comprises the outsole for optimal grip and traction. Having the enhanced grip will allow you to run with total confidence and deliver a firm, assured footing, even in difficult conditions or on the slightly uneven terrain. Flex grooves provide a full, unrestricted range of motion in all directions and exceptional flexibility. Padded Tongue - Sits comfortably against the skin and reduces risk of irritation such as chafing. Synthetic Overlays - Guards against friction and abrasion. 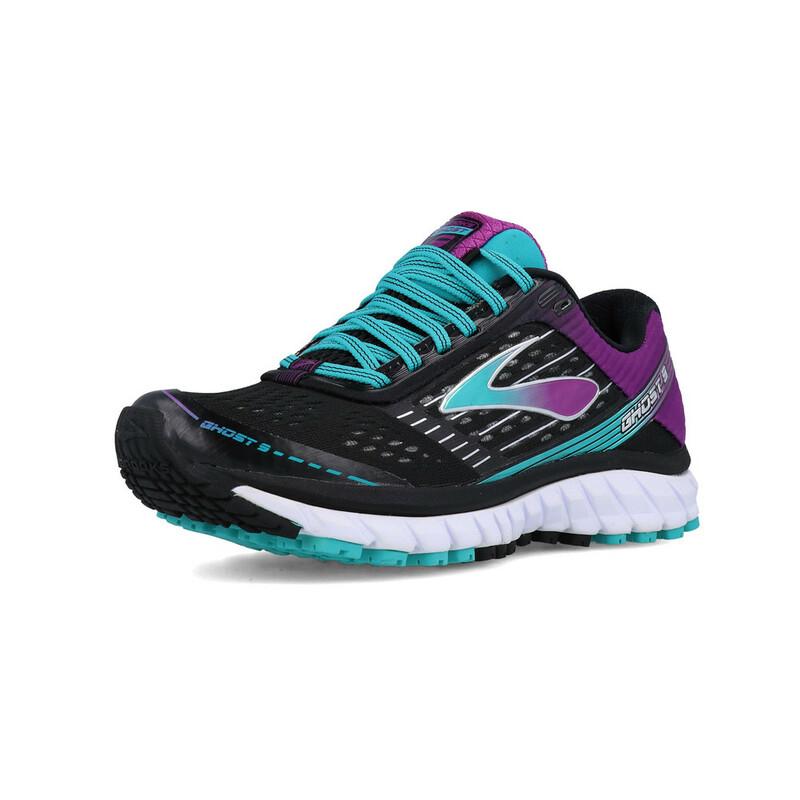 BioMoGo DNA Midsole - Provides exceptional cushioning and comfort. Blown Rubber Outsole - Offers optimal grip and traction. Flex Grooves - Ensures a full range of motion.